I worked as the features intern during the summer of 2014 for the Los Angeles Times. For 10 weeks, I hopped around many sections of the newspaper, covering a variety of stories: a 53-year-old woman running 500+ miles in Death Valley, a "water cop" hired in LA to combat the state's extreme drought, a normal workout routine for a typical UCLA "gym bro," and a new suburban development trend that builds neighborhoods around sustainable farms rather than golf courses. I did a mix of blogging and longer print stories, which landed me in the fashion, home, food and health sections. I also made it to the cover of local news, entertainment (Calendar), and to the front page of the newspaper (A1). The professionalism of the editors and the freedom they gave me in developing my ideas made working for the Times an incredible experience. Every story involved strict reporting and a certain craftsmanship with the wording of each sentence. It was simply invaluable. And, not to mention, a lot of fun. Click on the link under "portfolio" below to get a look at my my work from the summer. Front page: To the left is a photo of the LA Times front page from Aug 23, 2014. You can see my byline at the bottom, accompanying a feature I wrote about new efforts in L.A. to convert small urban spaces--like alleys, roads, and vacant lots--into tiny parks and open spaces. The story began as a profile of one city program, but it grew as I began to see a trend among multiple programs in L.A. that were seeking to bring open space to one of the most "park poor" cities in the country. With L.A. so built out, all that's left are these tiny spaces, especially in the inner city, lower-income neighborhoods that need public space the most. It was a tremendous experience to research and write the piece. Reporting from Death Valley, CA. It was around 120 degrees outside, so the team of the runner I was shadowing gave me a spray down every now and then. The runner was Lisa Smith-Batchen, and she ran over 500 miles in this heat. See the full story here. Photo courtesy of Jonathan Young. 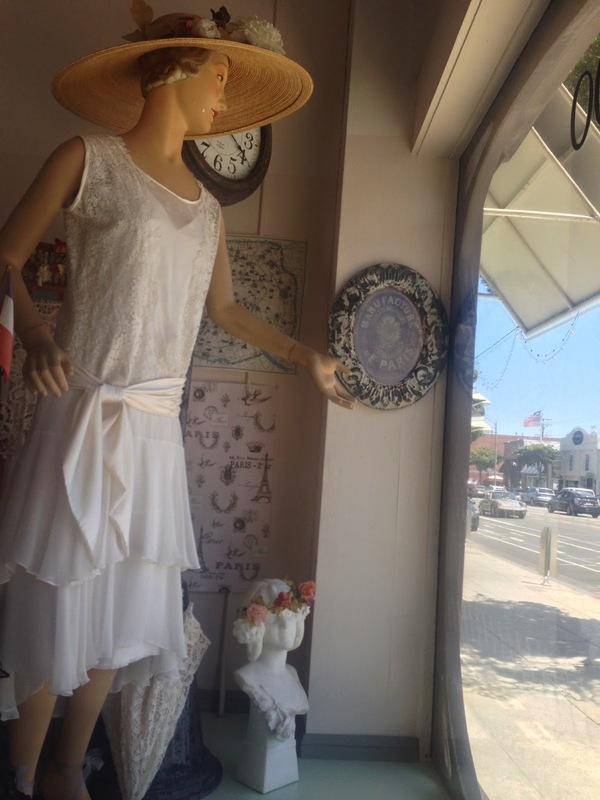 On the left, the window display of Paris 1900, a long-time Santa Monica shop that closed down that summer. Read here. On the right, a bottle from Desert Farms, the country's first retail camel milk company. With less fat than cow's milk, it was marketed as a health food. Read here. 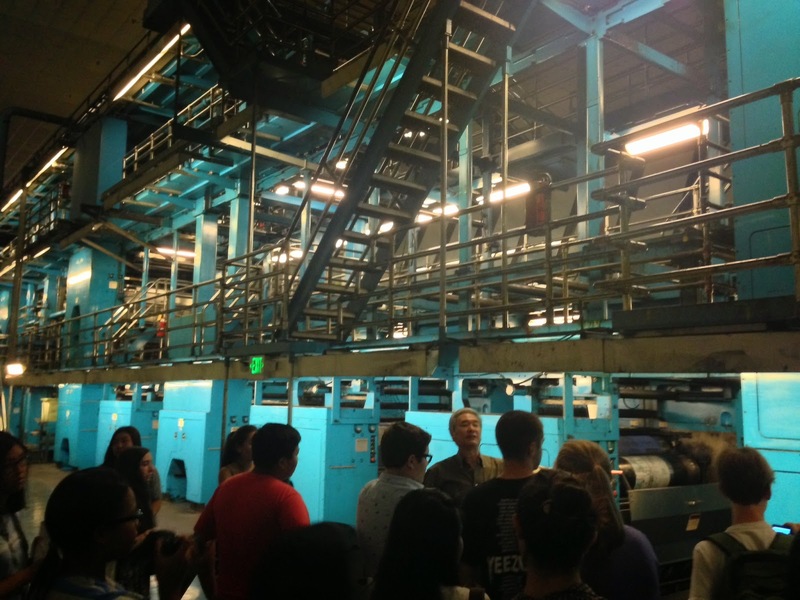 On a tour of the Olympic Printing Presses at the LA Times. The sheer size of the massive warehouse put the industry's online transition in perspective. Sights on the town: Above is the view from a Dodgers game. To the right is a photo of the Paramount water tower, taken from inside the Paramount lot. I got to go on the lot to see a special screening of Teenage Mutant Ninja Turtles. The infamous Giant "L." I had a great time at the Times, and I learned a lot.